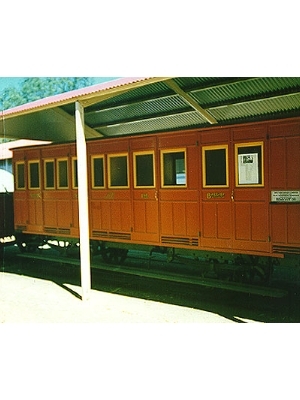 The Railway Museum is run by a voluntary trust and consists of two acres of land in the centre of Broken Hill. The original stone railway station building of the Silverton Tramway Company of 1905 is full of old records and photos of the company's operations from 1888 until 1970. There are also rolling-stock and locomotives of the era, as well as a hospital museum and mineral collection from the Triple Chance Mine. The station building is packed with photographs, books and records of the Silverton Tramway Co Ltd used in the operation of the private railway company which ran from Broken Hill to the South Australian border for 82 years. Also on site is the Silver City comet train set, built by NSW Railways in 1937 and which ran between Broken Hill and Parkes for 52 years. STC Loc Mo1-1888. "Y" class No1. 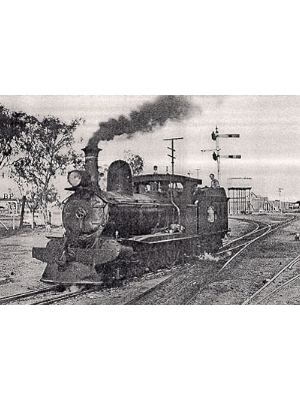 was the first locomotive purchased by The Silverton Tramway Co Ltd. For use on its main line and shunting. The Silverton Tramway Co ltd. Purchased 17 "y" class locomotives from Beyer Peacock they were in use until 1960, weighing 40ton. Tractive effort 16 500Lb. 3'6" gauge length 40. The Silverton Tramway Co.Ltd. had 4 of these locomotives built in 1951 for operation on their mainline to South Australia. The 4 "w" class locomotives worked the STC main line for 10 years when replaced by diesels. They weighed 97 ton 10 cwt and were 62ft long with tractive effort 21760 lbs, 3'6" gauge. Built but James Martin and Co. for the Silverton Tramway Co. Ltd.
3'6" gauge four wheeled wooden passenger carriage comprising 3 passenger compartments with wooden form seats. This old carriage was bought by the Silverton Tramway Co Ltd. in 1895 to carry passengers on the Tarrawingee line which ran to limestone flux deposits 40 mile North of Broken Hill. It worked attached to the rear of the flux trains until the line closed in 1931. It was the STC accident van until placed in the museum in 1972. The passenger terminal of the narrow gauge railway. The stone station building erected in 1905 replaced the original wood and iron structure built in 1888 by the Silverton Tramway Co. Ltd. 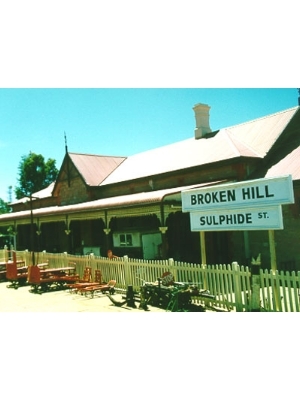 This was the only railway station in Broken Hill until 1927 when the NSW railway arrived. 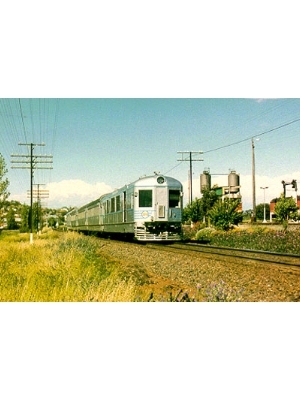 Diesel powered train comprising power van, first class and second class carriages and dining car. 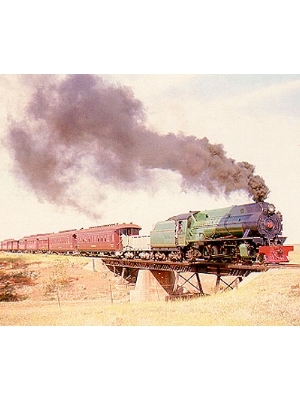 The train was built by NSW Government Railway especially to operate over the lightly laid track between Broken Hill and Parkes and was the first air condition train in NSW.